How can you not love R2!? I took this photo in 07 in the Star Wars Weekends Parade at MGM Studios (Disney's Hollywood Studio) and somehow never printed it, so when I found it I just had to scrap it. He seemed so real. I used the NEW DCWV Gilded Grey stack along with a couple of pieces of DCWV vellum and gems. This is for Sketch #171 at Sketch Savvy HERE. The blue strip of paper is from the new Copper Blues stack. 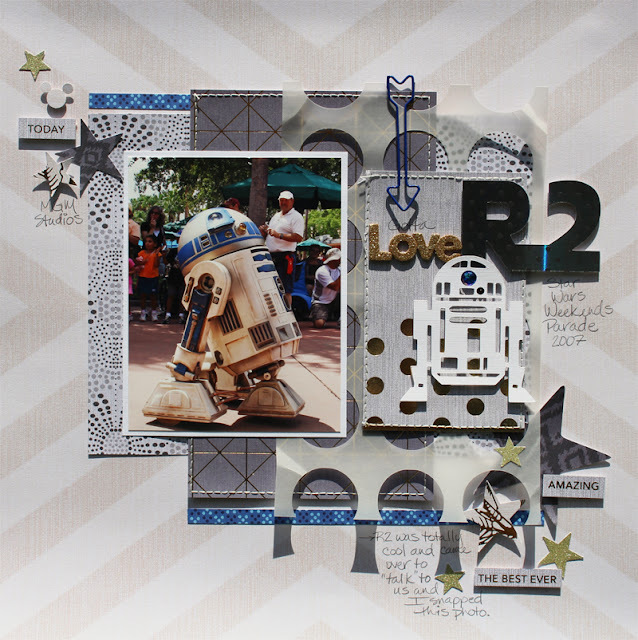 I used my silhouette to cut out the R2 and the circles in the vellum. The title was cut from a black print that has a pearl foiling (Minty Lace Stack). 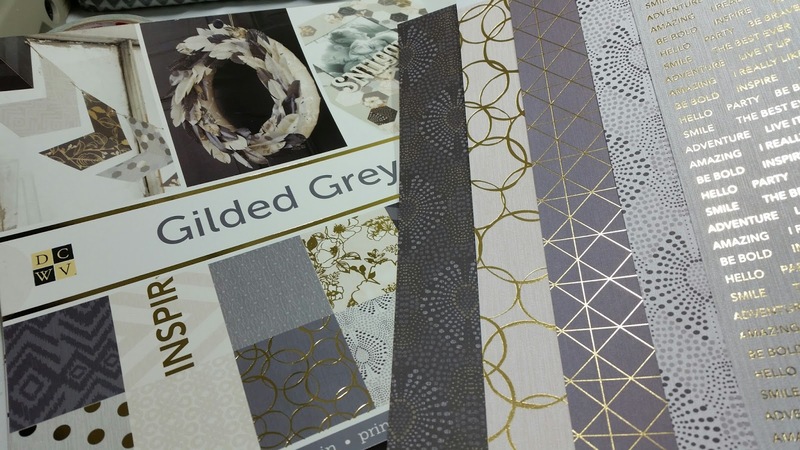 This really has a robotic metallic feel to it - fabulous!